Last Friday saw the delivery of Royal Caribbean’s new 168,666-ton Anthem of the Seas, but rather than repeat what everyone else is saying about the new ship’s passenger features, today’s Cruise Examiner goes behind the scenes to look at her efficiencies. Meanwhile, as Australia rapidly outstrips Canada in terms of the number of cruise passengers each country produces, the St Lawrence ports of Montreal and Quebec will be seeking more embarkations. Last Friday saw Meyer Werft deliver the 4,180-berth Anthem of the Seas to Royal Caribbean International in Bremerhaven. The new ship is en route to Southampton, where she is due this Wednesday, to be christened next Monday before a crowd of 1,300 invited guests. While pâtissier Eric Lanlard tweeted yesterday from P&O’s Britannia that he was “basking in Britishness aboard P&O’s newest cruise ship,” the Anthem of the Seas is something quite different. This new ship is 17.5% larger than Britannia in tonnage terms and can carry 13.8% more passengers with 3% more space per guest. But while we know about the Britannia’s atrium and the Anthem’s three arms, one for her North Star observation capsule and two for her robot bartenders, we don’t know much about what else goes on on the Anthem. We don’t know, for example, that Royal Caribbean’s goal is to make each new class of ship 15% more efficient than the last. This is achieved in many ways – hull form, air conditioning and lighting being just three of them. On the subject of hull form, about 1,000 different bulbous bow designs were assessed before Royal Caribbean settled on that used in the “Quantum” class ships, of which Anthem of the Seas is the second to be delivered. The “Quantum” class ships’ hulls have been fitted with advanced air lubrication systems that pump out compressed air at the forward end of the ship, creating a layer of bubbles that lessens the ship’s resistance through water. The system was first tested on the 2,850-berth Celebrity Reflection and showed an efficiency improvement of between 1% and 3%. The level of noise and vibration in the stern has also been reduced considerably. Other efficiencies have been gained by reducing the pockets that house the stabilizers and fitting grates over the bow thruster tunnels to reduce drag. Another area of high efficiency is the ship’s energy management system, covering areas such as engine performance, route optimisation, trim and even lighting. And the galley management system ordered for these new ships will save about $1 million per ship per year. Air conditioning, meanwhile, has been decentralized so that air is cooled where it is needed rather than having to be piped around the ship. Waste heat is also used wherever possible. 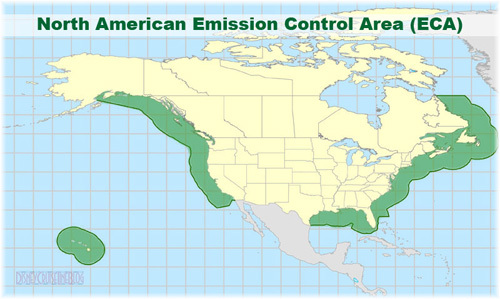 Two emission purification systems, or scrubbers, have been installed to meet the higher emission standards that have now been brought about by new Emission Control Areas in both Europe and North America. Water is injected into the exhaust stream to remove about 98% of sulphur dioxide, 60 to 80% of particulate matter and also nitrogen oxides. Hundreds of tons of water pass through the cleaning towers, which can act in either open or closed loop, the latter used in port to avoid any discharge into harbour waters. 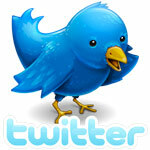 The biggest efficiency from the passengers’ point of view however is the ship’s high-speed Internet access. This has been arranged by working with O3b Networks, whose satellites orbit the Earth at much lower altitudes than others, thus allowing higher Internet speeds. O3b has eight satellites in operation and is introducing others, while the ship is able to switch from satellite to satellite as required. The bandwidth supplied by Royal Caribbean is now more than that of every other cruise line combined. O3b’s launch of more satellites this year will allow Anthem of the Seas always to be able to take advantage of this technology when she is sailing out of Southampton. Anthem of the Seas leaves on her maiden voyage on April 22, and will then be based in Southampton until October, sailing to the Mediterranean and Canaries before moving to her new base in New York in November. From New York, she will sail to Bermuda, becoming the largest ship ever to serve that island destination, and will also sail to the Caribbean by winter and Canada by summer. 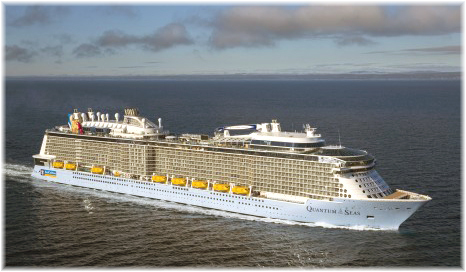 Her sisters Quantum and Ovation of the Seas, have been allocated to the emerging China market. The government of Quebec has allocated $55 million of its 2015-16 budget to upgrading cruise ship facilities at the ports of Montreal and Quebec. Of these outlays, $20 million will be spent in Montreal and $35 million in Quebec. The spending is interesting as ports are the responsibility of the federal government in Canada, but these outlays are to promote tourism. Montreal plans to use the money to restore Alexandra Pier and the marine passenger terminal, while Quebec City will use the funds to upgrade its present cruise ship infrastructure. Overall, Quebec ports expect to attract 275,000 passengers in 2015, more than double the number that passed through in 2008. Montreal will see thirty-two cruise ship embarkations this year, twelve of which will be by Holland America Line’s 1,266-berth Maasdam, six by ships operated by Prestige Cruise Holdings, operators of Ocean and Regent, and three by Crystal Cruises. To these will be added fourteen cruises operated by Haimark Line’s new 210-berth Saint Laurent, bringing the number of Montreal embarkations to 46. Included in these sailings will be half a dozen Transatlantic embarkations, one each by Fred Olsen Cruise Line’s 804-berth Black Watch, Oceania Cruises 684-berth Marina and Insignia, Plantours’ 400-berth Hamburg, Cruise & maritime Voyages 848-berth Marco Polo and Phoenix Reisen’s 862-berth Albatros. Quebec will see fourteen cruise ship embarkations this season, of which six will be by Holland America Line’s 1,348-berth Veendam and one by its 2,104-berth Eurodam and two embarkations each by the 3,114-berth Caribbean Princess, 2,476-berth Norwegian Dawn and 2,100-berth Serenade of the Seas. Many ships that turn at Quebec do so because they are too large to fit under the Quebec Bridge, which traverses the St Lawrence route to Montreal. Chief among these is Cunard Line’s 2,620-berth Queen Mary 2, which makes an annual cruise to Quebec, usually with overnight stay. She made her 10th call at Quebec last year. In addition, Pearl Seas Cruises’ 210-berth Pearl Mist sails three times to Quebec to Boston or Portland this year, bringing the number of Quebec embarkations up to seventeen. 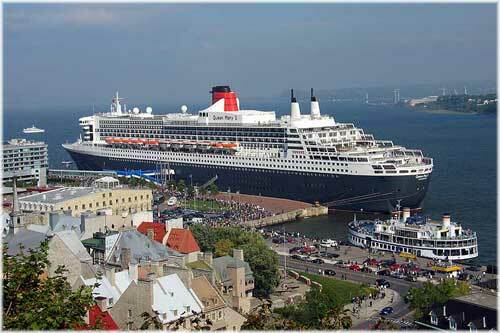 For the third consecutive year, Quebec broke its own record by handling 135,000 cruise passengers in 2014. And on October 3, Quebec reached its full capacity for the first time, having six cruise ships in port at the same time. Downstream from Quebec, the port of Bay Coma handled more than 4,500 cruise passengers last year, most from the UK and US. Baie Comeau, a relatively new cruise port, also welcomed its 25,000th cruise passenger. The 2015 Baie Comeau season opens on September 5 with the 450-berth Seabourn Quest, while six other vessels are also due to visit. Meanwhile eight ships have been booked so far for 2016.